Chilean cardinal Francisco Javier Errázuriz Ossa announced Nov. 14 that he had completed his term in the Council of Cardinals (C9), the structure created in 2013 to help the Pope in reforming the Roman Curia. According to Chilean radio Cooperativa, the 85-year-old archbishop emeritus of Santiago, Chile, said it was not a “resignation,” but that his five-year term ended. Cardinal Errázuriz, who represented South America in the C9, recalled that the Pope had called him to this mission in 2013, when he was 80 years old: he had therefore passed the canonical age for an episcopal office (75) and for participation in a conclave (80); this, he suggested, marks one obvious reason for his mandate to not be renewed. The Chilean cardinal was criticized for his role as a papal advisor with regard to the crisis in Chile, especially when Bishop Juan Barros Madrid, named Bishop of Osorno in 2015, was accused by laymen of his diocese of having covered up abuse of his mentor, Fernando Karadima – convicted in 2011, and removed from the clerical state in 2018. 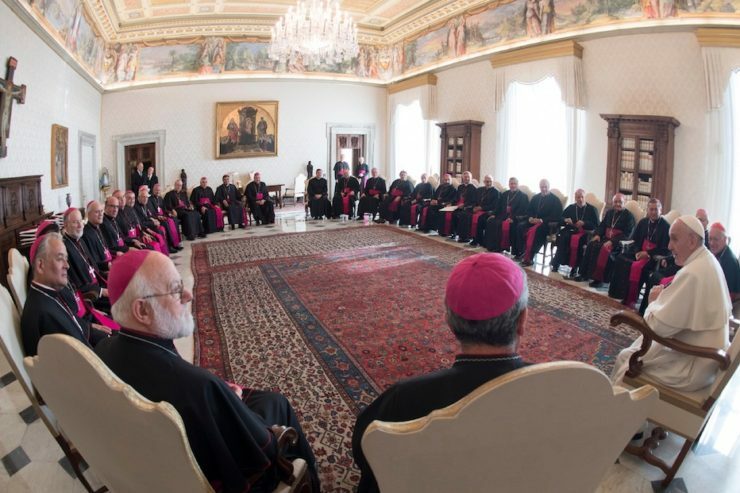 All the bishops of Chile summoned to the Vatican, had resigned. The Pope accepted several resignations, including that of Bishop Barros. Francis called for resolutions “in the short, medium and long term,” to remedy the system that allowed the covering up of abuse.